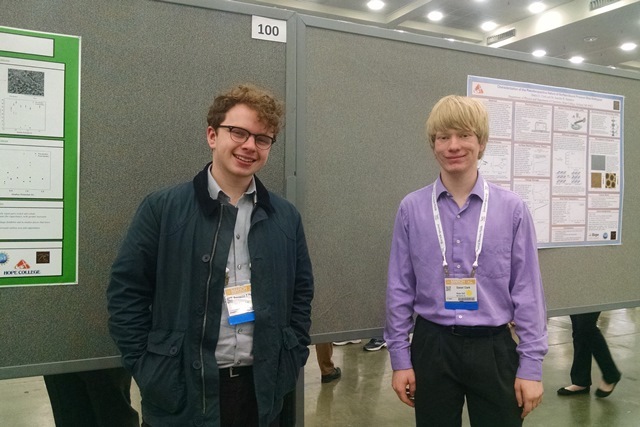 Hampton Group students Benjamin Peecher and Daniel Clark will attend the American Physical Society’s March Meeting 2016 in Baltimore, MD from March 13 to 17 along with Jennifer Hampton. Ben and Dan will present posters on their current research. Jennifer Hampton will also present a talk on the group’s research.